Why Is Shopify Better Than WooCommerce? It’s no secret for anyone that global workings on the Internet are growing steadily every day, month and year. And this situation simply forces many owners of not only large, but also medium and small businesses to go online. And all these owners are faced with not just one but two very important questions: how to successfully reach e-commerce market and retain this success? But unlike the offline world where the success mainly depends on such factors as the geographical location, qualifications of the personnel and working hours, on the Internet other considerations come into play. And one of the most vital one is the choice of the platform for the future online business. After all, there are quite a lot of such platforms, so how to determine which one is the best for specific needs? And while it’s always interesting to compare e-commerce platforms, in this article we will focus on the two which could be considered leaders on the modern market: Shopify and WooCommerce. While the choice is still yours, we are sure that our research could prove to you that in many ways Shopify possesses traits that eliminates any rivals and not just WooCommerce. In our opinion a systematical approach is the best for conducting the contrastive analysis and below we will dive into exciting world of benefits and advantages, that use of Shopify can bring you and your company. Shopify offers several price levels, with the lowest being $29 and the most expensive being $299. However you have the option of using a 14-day free trial which allows you to test the platform before deciding whether this is the right choice for you. While WooCommerce itself is free, there are still costs that you will be forced to bear. You’ll need a WordPress website, so there’s a need for purchasing your own domain name and setting up a hosting plan. The cost will vary depending on your hosting plan and add-ons that you have chosen to improve your store. Also keep in mind that for some extensions you will pay once but others are monthly subscriptions. Do your math. Shopify is completely cloud-based and hosted, which for you means the freedom from worrying about the upgrades and maintenance of software. What else does this mean? Another level of freedom. You will be able to reach and manage your online business from any place that has an Internet connection. Setting up a shop in Shopify is an extremely easy task. This is a complete WYSIWYG solution that offers complete control over your navigation, pages and design. WooCommerce is a WordPress plug-in. The plugin works on the freemium model, which basically means that the main plug-in is free, with various add-ons that can add extra features to your online store some of which are not free. What does this mean? If you are familiar with WordPress, installing and configuring WooCommerce should not be very difficult for you. However, if you are not an experienced WordPress user you’ll be forced to invest time and resources into studying. As your business grows, you will need additional resources to work with and tools to eliminate the arising problems. Shopify is perfectly equipped to handle large amounts of traffic and orders. It takes all the responsibility for the technical support of your online business, which means you don’t need to worry about performance, security and scalability. 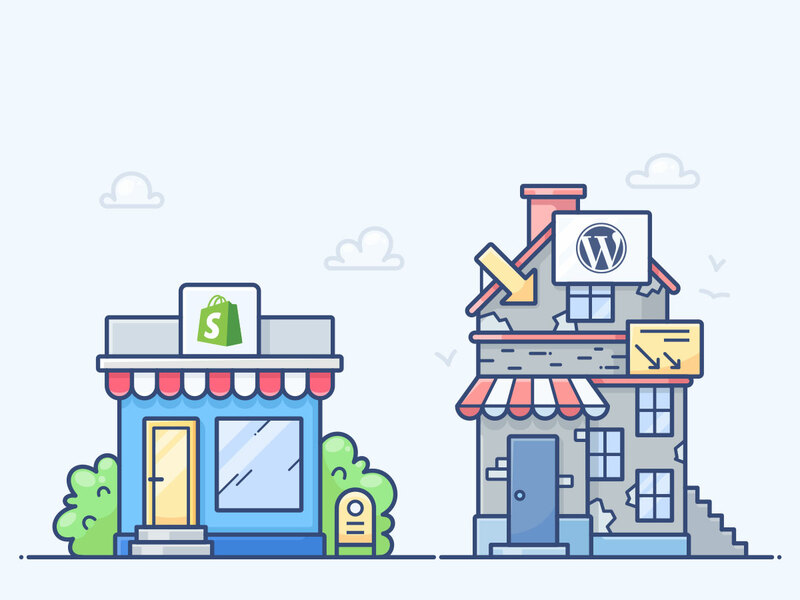 As your e-business starts to grow, simply update Shopify’s plans. You can also choose to utilize offered corporate services as part of the Shopify Plus plan. Simply put when you choose Shopify you free yourself from the need to look after technical side. WooCommerce is a standalone platform, and that makes you responsible for updating, backing up, maintaining and securing your site. As your e-business grows, you will need to change the hosting to ensure the best performance. In spite of all controls offered by WooCommerce, there’s no turnkey solution for you regarding looking after technicalities. 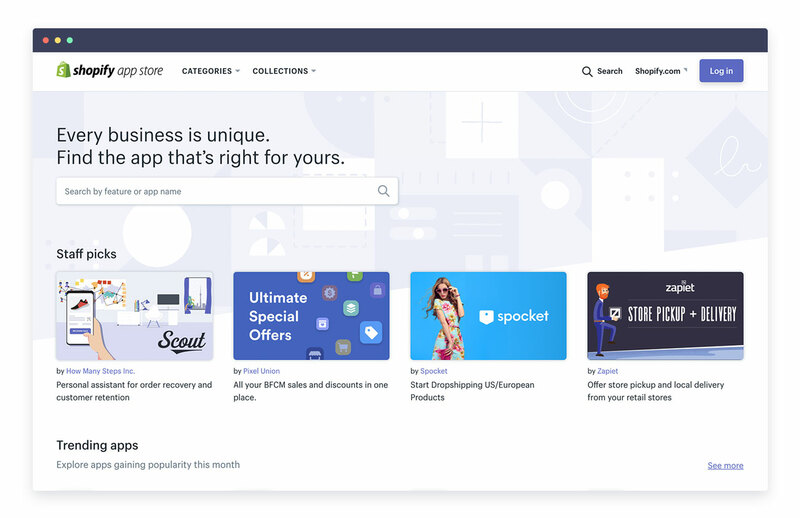 Shopify themes include endless appealing and practical features such as newsletter integration, books for notes, quick product browsing options, zooming, sharing on the social networks and much more. Moreover, you can choose a multipurpose theme. Such as Boutique Shopify, which would be great for your online store. And there’s also a very important thing that Shopify has done extremely well. 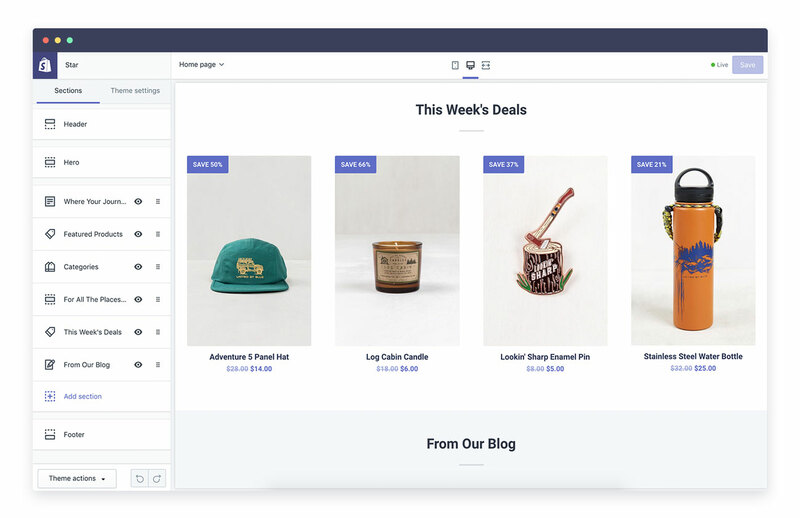 It’s been inviting other vendors (such as theme developers and online service providers) to integrate their offers into Shopify. Which resulted in converting Shopify into all-in-one-place for almost everything you need to become screaming success on the Internet. WooCommerce offers the most basic functions for free in the main plug-in. And they are perfect, but only for starting and that’s it. However, if you want to maximize the potential of your online business, you will inevitably be forced to look for extensions. Which might not be free. Also you should be aware that you might have a hard time receiving updates for non-Woo themes. In the modern world the speed with which you e-resource works might make a huge difference for a customer. He might get bored waiting for the page to load and decide to go someplace else. Studies show that clients are willing wait no more than 4 seconds for a site to load. And the number is even harsher for eCommerce sites. As to the online safety there’re many layers that need to be provided for working with your customer’s credit cards. It makes these two factors vital and crucial. Shopify allows you to let professionals worry about hackers, backing up and a lot of other technical problems, that inevitably accompany setting up an online store. Shopify practices actually paying security pros to try their systems for vulnerabilities. Shopify is as safe as it gets and can make your security truly impeccable. 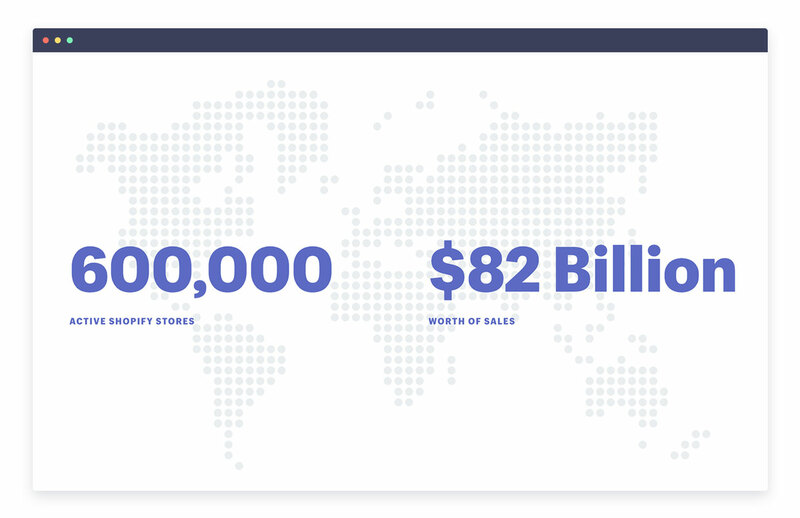 Since Shopify can handle speed at a “global” level, they can do amazingly well. They provide 100% SSL, keep their sites unholy fast, and integrate with payment providers which means that your customers will never have to wait for their page to load. In WooCommerce to make your resource secure you have to go for a premium theme. Then you’ll get updates, which will guarantee the adherence to the security standards. And you will definitely require extra plug-ins. Which, yes you got it, might not be free. Simply put, the looking after your site’s security rests largely upon yourself. Shopify especially shines on the point of customer support. They have a very large database of informational resources including various FAQs, email/chat support and phone support. All this will be ready for you 24 hours a day, 7 days a week and the time of response is reported by many users as instant. You will also be able to use a number of community forums in the Shopify Help Center and many comprehensive Shopify University guides. When you are working on setting e-business, the chance to always have someone knowledgeable and helpful at your back is truly priceless. If you choose WooCommerce, get prepared to use a lot of self-help resources. Which is most popular form of support for this platform. Some users also noted that the response to the tickets is rather slow. When planning to expand your e-trade it’s always a good idea to make your services as user-friendly as possible. Folks in France will definitely appreciate coming to the shop with the storefront in French. In Shopify you will have a choice of such plug-ins as ‘Langify’, ‘Panda Language Translate’, ‘Multi Lingo’ and others. Several plug-ins will allow you to do the translation manually while the others will do it for you. Use it to translate your storefront into multiple languages. It will create a wonderful impression and will impress clients, which in turn will lead to increasing business rate and client base. Translating WooCommerce can be a real problem or the users not familiar with WordPress. There’re several plug-ins that allow e-stores owners to translate their resources but not all of them are effective or convenient to use. Many require doing the translation manually. It means investing time and nerves to learn the basics of working with WordPress and understand the advantages and drawbacks of various plug-ins. Shopify is the unquestionable leader of all the platforms that are available on the market today. It boasts an unsurpassed level of flexibility, a richness of features and client support service that would make all your problems go away in a blink of an eye. It has everything you might ever need to create a highly successful store. And in that store you will be able to sell just about anything, from manufactured products to services. You can even do drop-shipping! It’s a perfect start to getting to the top of e-commerce industry. Receive ecommerce resources, freebies and exclusive offers from us. Launch an online store successfully with our Starter Pack for Shopify!